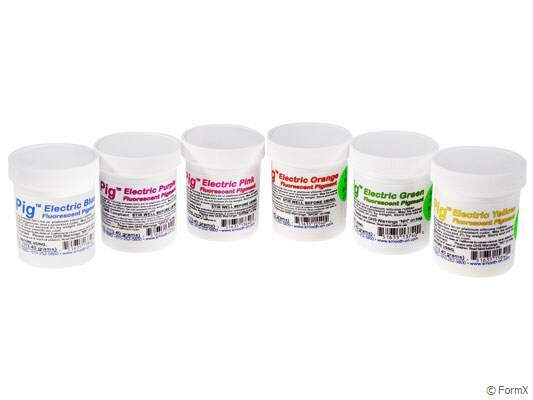 Silc Pig™ Electric Fluorescent Silicone Pigments are used for coloring tin-cure silicone rubber compounds such as Mold Max™ translucent ‘T’ Series products and platinum-cure silicones such as Dragon Skin™ and Ecoflex™ rubbers. Silc Pig™ Electric Fluorescent Pigments also work well with Smooth-On’s skin effects systems such as Psycho Paint™ and Skin Tite™. The fluorescent or “glow” effect is maximized under ultra-violet light or “black light.” The most dramatic color effect is realized when a Silc Pig™ Electric Fluorescent Pigment is used with a clear or translucent silicone. What makes castings made with Silc Pig™ Electric Fluorescent Pigments appear to glow? When you add Silc Pig™ Electric Fluorescent Pigments to a silicone, more ultraviolet light from the cured material is visible to your eye vs. castings made with standard Silc-Pig™ pigments. Castings appear brighter in ambient light and appear to glow under UV light (black light). Silc Pig™ Electric Fluorescent Silicone Pigments are concentrated, so a little goes a long way when coloring Smooth-On silicone products. 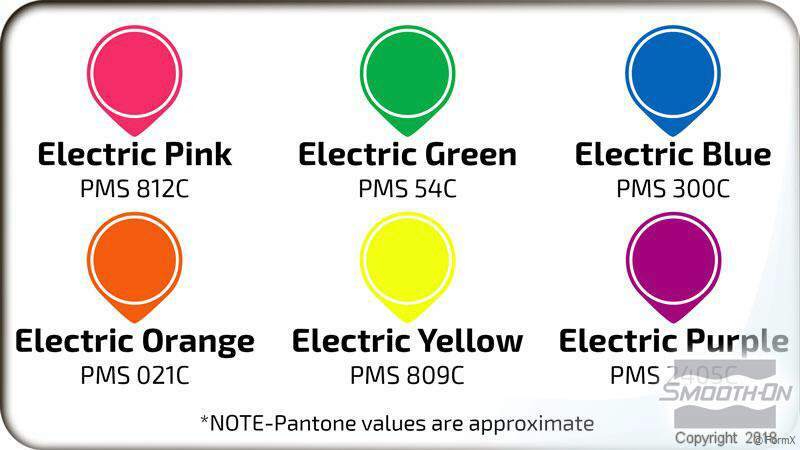 Custom colors are possible by blending different Silc Pig™ Electric Fluorescent colors.